Jim Wills the creator of Toado has kindly agreed to answer some questions about how he got into programming and the creation of Toado. Enjoy! Simply because I got banned from playing Asteroids in all the local arcades at the time because I could spend all day on it with just spending 10 pence! Brought a 48K Sinclair Spectrum in 1983, found Asteroids was rubbish on it and got interested in programming in BASIC at the time. I was also hooked on Manic Miner and BugByte were running a competition at the time to the first person to complete it and contact them, which was me. I had a trip down to the PCW show and instead of getting some Micro Drives as part of the prise I managed to persuade them to get me a Memotech MTX instead. I started writing games on the MTX, in BASIC before moving onto Assembler, something which was much easier on the MTX due to having a built in Assembler and debugger. If you want more on this its best to check out my MTX site. What is it about Frogger which inspired you to make an update for the Amiga? 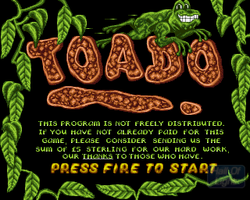 Memotech did a version called Toado, I always liked the arcade version of Frogger and decided that it would be a good one to start my Amiga programming off with. How did Simon Foster (credited with Graphics) and Richard Jones (credited with music) become involved with the game? A demo of the game was featured on Amiga Format - how supportive were the Amiga Magazine press to shareware programmers? Were there any unfinished Amiga games you were involved with? There was a shoot em up called Dropplers that was quite a way through development, sadly though it was never finished. I was also involved with a follow up to one of Megastar Games for the MTX called Son of Pete. 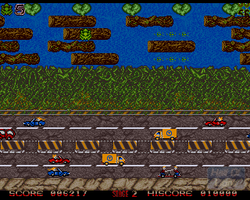 This was a scrolling platform game called Pete’s Revenge, due to lack of time plus we found the speed on the A500 to slow for what we were trying to do, there were to many compromises at the time and the game was never progressed. I am sure the AGA of my A1200 would have coped well though but time had moved on. How successful was the game when it was released as shareware? I think I sold around 180 copies in total which was not that good really, especially when you consider the heights that Worms had reached (and has reached now) but I did it more for fun than money, I never thought that making a Frogger clone on the Amiga was going to earn much but it proved a useful platform for learning the Amgia hardware which was very different from the MTX. Did you program games for any other computer system? My first program was a BASIC one on the 48k Spectrum, this was a simply program on maths, called MATHS TEST. I then moved onto the MTX, co wrote Pot Hole Pete (Manic Miner tribute) before moving to work for Memotech, there I started Megastar Games and went on to sell quite a few different games for that computer. I was working on a Luner Rescue type of game but due to the commitment of running Megastar and working as the Technical Advisor for Memotech I never got the time to finish it. After the Amiga, and a few years had passed I had a go at writing games on the GDA, I wrote two for the system, one a space invader type game and the other was a version of QOGO2 (AKA Qbert) both games were finished apart from the sound but never released. Next stop was the Nokia 6600 (Series S60, 2006) where I was asked to develop a mobile phone version of a board game called Palindrome (Tony Butterfield helped with the logic on this), again this became fairly advanced but due to the fragmentation of the market, silly number of handsets to test it on (which is where Android is heading sadly) and a lack of support from many publishers at the time this never got finished. And now to today (April 2011) I am slowly in the process of converting Rolla Bearing to run on mobile phones, this is a test project really but one I hope to grow and hopefully and finally release quite a few games. Keep an eye on my website at jimsbitesizedgames.com (currently a veg shop!!) as later on in the year it will be updated to show more about things to come. What is the best aspect of programming games? Are you still involved in the computer industry today? Yes, currently (April 2011) I am slowly in the process of converting Rolla Bearing to run on mobile phones, this is a test project really but one I hope to grow and hopefully and finally release quite a few games. Keep an eye on my website at jimsbitesizedgames.com (currently a veg shop!!) as later on in the year it will be updated to show more about things to come. I am also starting to get back into the INDIE scene again after five years away, finding the old brain cells don’t work quite as well as they used to and getting to grips with modern languages is not easy. 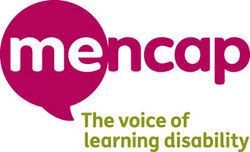 We hope you enjoyed reading Jim Wills interview - remember AmigaPd is charity ware - please visit our just giving page to support our chosen charity Mencap.